The Texas Alliance of Energy Producers has the launched of a entitled, “I Am Texas Oil.” The campaign will provide the opportunity for oilfield workers and industry employees to demonstrate the importance of the oil and gas industry in Texas, emphasizing the jobs and livelihoods the industry supports as well as the beneficial impact the industry has on the state’s economy and the everyday lives of all Texans. The purpose of the long-term campaign is to put real names and faces to the oil and gas industry in Texas. Members who live and work in the oilfield will share personal stories of the hard work and long hours they dedicate to providing the affordable energy that powers our state. Sharing the truth about the benefits, science and facts of energy production on a more personal level will provide a counterpoint to anti-industry propaganda, and encourage sensible energy policy at both the state and federal levels. It will be an ongoing effort, rolled out in multiple phases over the next several months, featuring video clips, personal testimonials, a social media campaign, opportunities for members to engage in the political process and more. 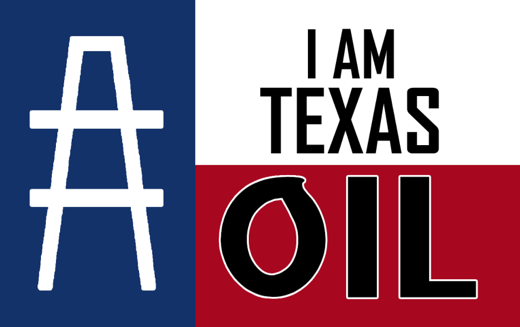 The Texas Alliance of Energy Producers is the largest state independent oil and gas trade association in the nation, representing more than 2,600 member companies comprised of independent producers, operators, service and equipment supply companies, financial institutions, law firms, and other oil and gas related interests. Midland and Odessa's economies remained in expansion mode as 2018 came to an end, with consumer spending and housing construction hitting record highs. "The Midland-Odessa economy had a very good year," said Karr Ingham, the Amarillo economist who prepares the Midland-Odessa Regional Economic Index for the Midland Development. The index, which surpassed its previous record high in April, ended the year up 16.9 percent compared to the end of 2017. It was the 26th consecutive monthly increase that has seen the index climb 37 percent. Ingram said he saw a slowing in year-over-year growth as the year progressed -- that 16.9 percent growth was down from a 2018 high of 21.6 percent in May. He said fourth-quarter growth slumped to an annualized 11.1 percent. CLICK HERE to download the entire article.